The Chinese Government has recently launched an ambitious campaign to develop the winter sports industry within the country, fueled by China’s selection as the host of the 2022 Winter Olympic Games. Although the Chinese winter sports industry is still in its early stages of development, the Government intends to see 800 ski resorts and 600 skating rinks operational by 2022. These venues will form the foundation of what is expected to be the largest population of winter sports enthusiasts in the world. The ultimate goal of the Government is to report 300 million people involved in winter sports by 2025. There is a growing Chinese middle class with an appetite for recreational weekend activities, and enough disposable income to spend on leisure and sports such as skiing. As skiing has not been present in Chinese culture until recent years, the vast majority of the market (80% of skiers) is made up of beginners. However, a growing amount of programs for children and young people aim to create a new generation of enthusiastic skiers- and China’s rapidly growing indoor ski resort industry is rushing to meet the increasing demand. Over the past 10 years, the number of skiers in China has grown rapidly, increasing from 4.7 million in 2007 to 17.5 million in 2017. Similarly, the number of ski resorts in China has grown from 225 in 2007 to 703 in 2017. 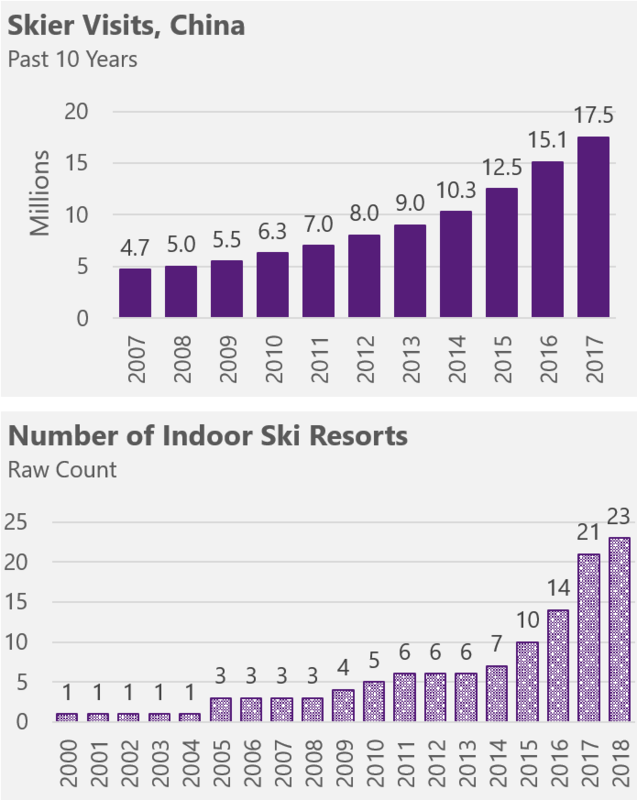 The number of indoor ski resorts has increased particularly sharply, growing from only 1 indoor resort in 2000 (all the way through to 2004), to 23 in 2018. The uptick in indoor ski resorts has been a recent phenomenon; 70% of all indoor ski resorts have been opened since 2015. Geographically speaking, indoor ski resorts are well-distributed across China as a whole, and tend to be far from urban areas. 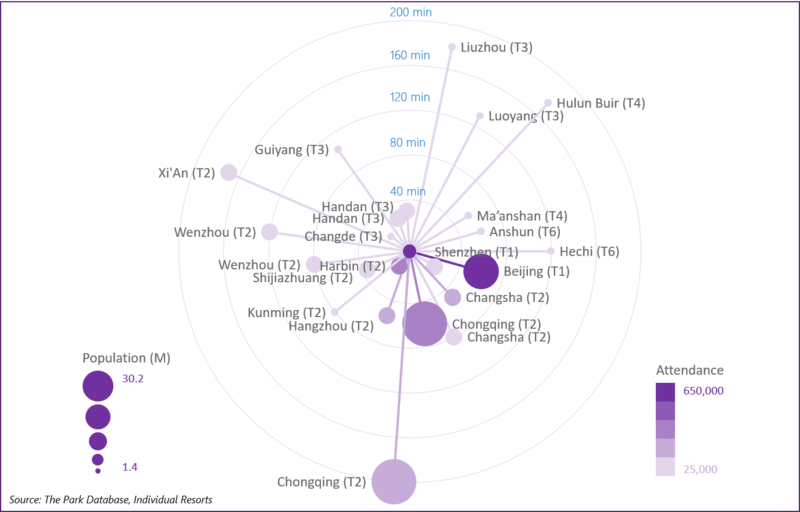 Only two are located in the vicinity of 1st Tier cities, with the majority- around 50%- located near 3rd Tier cities. Most indoor ski resorts are standalone, and only a few form part of a larger resort or are linked to an outdoor slope. Every resort features food and beverage amenities, with most also offering a snow play area and retail. Ice skating rinks and hotels, on the other hand, are relatively rare inclusions, as most visitors do not stay overnight. Of all the indoor ski resorts, Beijing Qiaobo Ice and Snow World, the market leader in Chinese indoor ski resorts, has the highest attendance by far, with its whopping 3.2 million visitors in 2017 comprising 18% of all Chinese indoor ski visits. 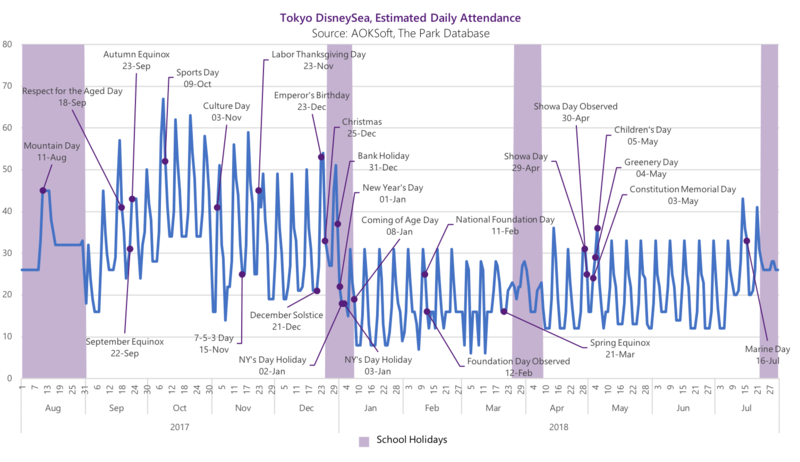 Attendance levels are also higher in Tier 1 cities than Tier 2 cities, where competitive dynamics (multiple indoor ski resorts) drive down the average. Beijing Qiaobo Ice and Snow World also has the highest ticket price, at RMB360. 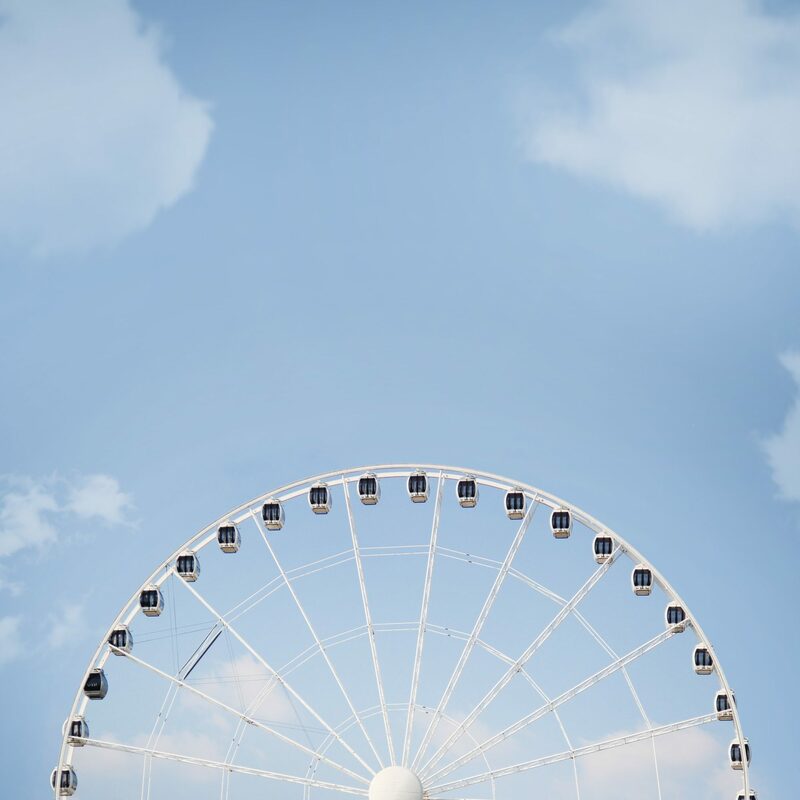 Adult and child tickets tend to cost the same, but ticket prices vary considerably across all resorts, even within the same market. Much of the variation can be explained by differing ticket types- e.g. Qiaobo’s relatively expensive RMB360 ticket covers entry for an entire weekend day, while elsewhere, RMB80 tickets only offer an hour of ski time. While development costs vary, it generally takes $1,500-$2,200 per sqm of investment to open an indoor ski resort. Operating hours of indoor ski resorts vary, but generally range between 9:00 am and 19:30 pm, with some resorts open as early as 8:30 and as late as 22:00. 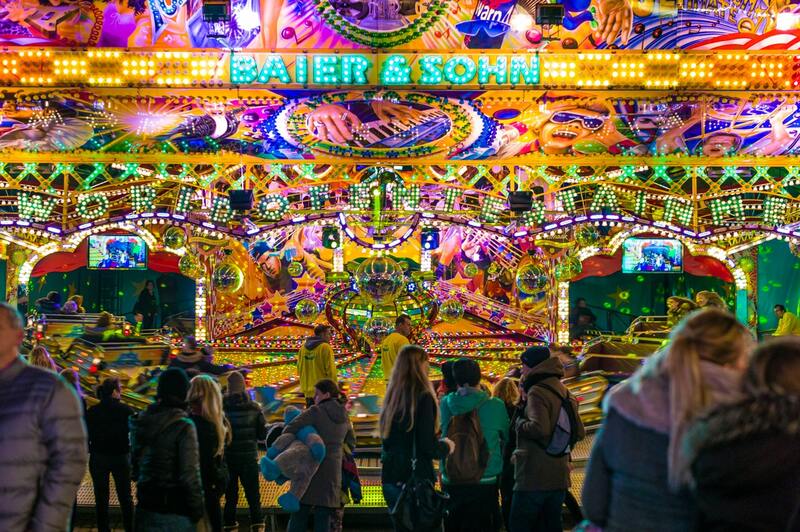 Overall, customers have a positive perception of indoor ski resorts and enjoy their experiences there. 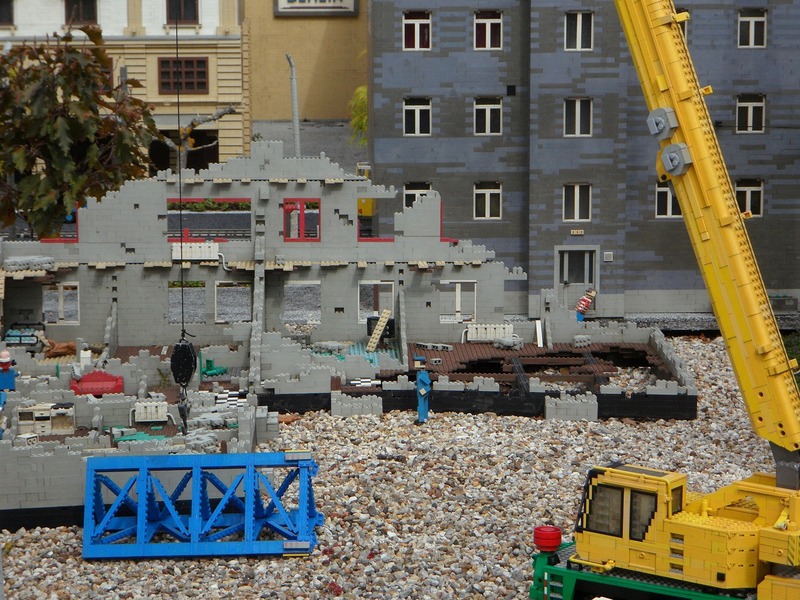 Almost 40% of reviewers consider them to be fun places, while other frequent positive comments include “beginner and kid-friendly” and “great summer destination”. The most frequently mentioned areas for improvement include the cost of tickets and overcrowding on holidays and weekends. The typical visitor prefers visiting an indoor ski resort in the afternoon during the summer, and tends to stay for 2-4 hours. 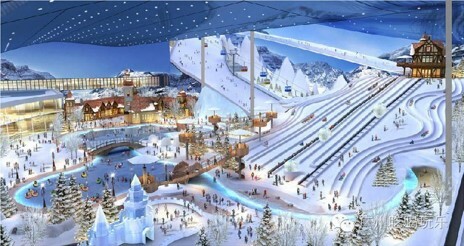 There are several indoor ski resorts currently under construction. These include three new Wanda locations: Wanda Guangzhou City, Wanda Wuxi City, and Wanda Chengdu City. The largest of the new developments will be Wintastar Shanghai (Pudong), expected to open in 2022, which will cover 227,000 sqm of area and has received RMB6 billion in investment. It’s clear that as skiing becomes steadily more popular in China, these new resorts will have plenty of enthusiastic visitors on their slopes. For more details, including attendance, revenue levels, and development costs for each individual resort, and detailed social media customer feedback, don’t miss our comprehensive report overview on this topic.